Audience Review: A wonderful rendition of this too rarely performed work (Charpentier David et Jonathas). The orchestra were excellent and the chorus accomplished as ever, with many of their members taking solo parts. The main characters were superb, especially Stuart O'Hara in the role of Saul"
Not the more familiar 1610 Vespers written for Mantua but a Vespers drawn from the wonderful music written in the 1620s and 30s for Venice, including the evergreen ‘Beatus vir’. Telephone Office hours: Monday to Friday, 9.00am to 7.00pm (excluding bank holidays) and Saturday from 9.00AM to 5.00PM. Note that TicketSource booking charges apply. Great works by Bach familiar and unfamiliar, including the festive cantata ‘Gloria in excelsis deo’, Brandenburg 3, the Sinfonia in D BWV1045 and the great solo bass cantata ‘Ich habe genug’. Sing or play a baroque instrument? Contact us if you would like to be considered for a place in the orchestra and choir. We spent a weekend recording audio samples for the website with recording engineer Colin Bradburne. Thanks to generous grants from the Friends of Leeds Baroque and Leeds Philosophical & Literary Society we now have examples of our repertoire on line. 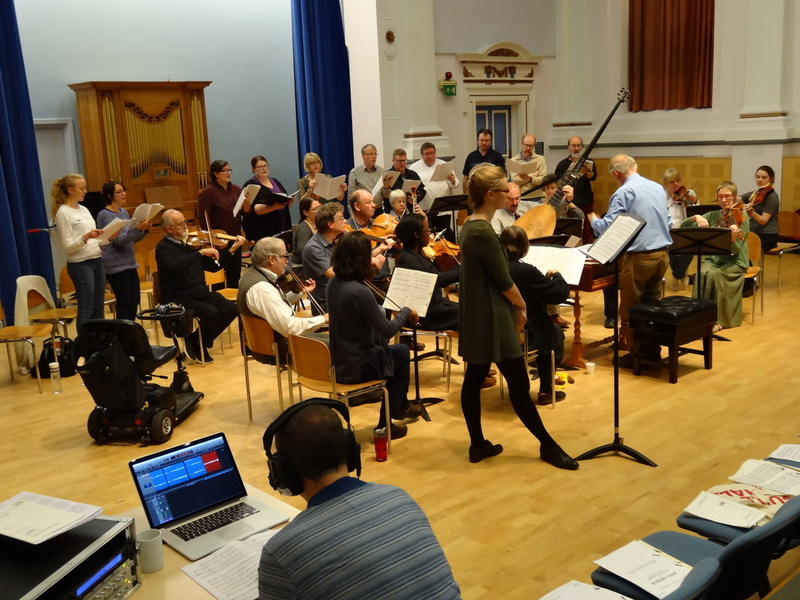 We are delighted to announce that Leeds Baroque has been awarded a grant by Wade's Charity to support Leeds Baroque's audience development project. We are listed in the NCEM directory!